Emmanuel Macron vowed to work to "rebuild the link between Europe and its citizens." "France will be at the forefront of the fight against terrorism," Emmanuel Macron said. 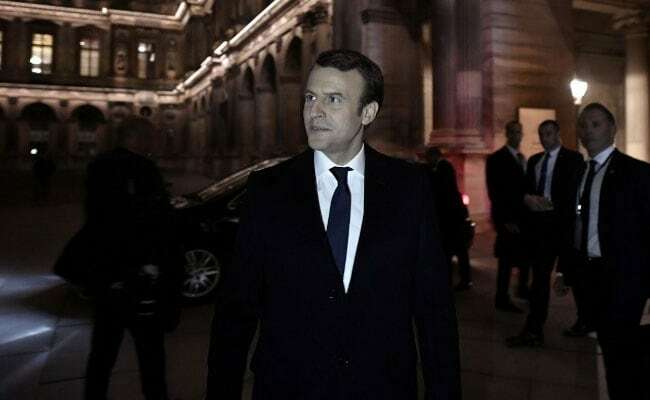 Paris: Emmanuel Macron said Sunday he would "fight the divisions" in the country after winning a French presidential campaign that laid bare the "anger, anxiety and doubts" of many voters. "I have heard the anger, anxiety and doubts that a large number of you expressed," a solemn Macron, 39, said in a speech at his campaign headquarters in Paris. "I will fight with all my strength against the divisions that are undermining us," he said. The man elected France's youngest-ever president vowed to work to "rebuild the link between Europe and its citizens." "A new page in our long history is opening this evening," the centrist independent said, adding his presidency would be one "of hope and confidence regained". The former economy minister also promised to defend France against the jihadists that have killed over 230 people in a string of attacks since 2015. "France will be at the forefront of the fight against terrorism," he said. Macron won a resounding victory over far-right rival Marine Le Pen. Estimates based on partial results showed him winning between 65 percent and 66.1 percent of the vote compared to between 33.9 percent and 35 percent for Le Pen.